Ngātoroirangi climbed Mt Tongariro and claimed the lands below for his descendants. On the ascent Ngātoroirangi struggled with the cold and cried out, ‘Ka riro au i te tonga!’ (I am seized by the cold wind to the south!). 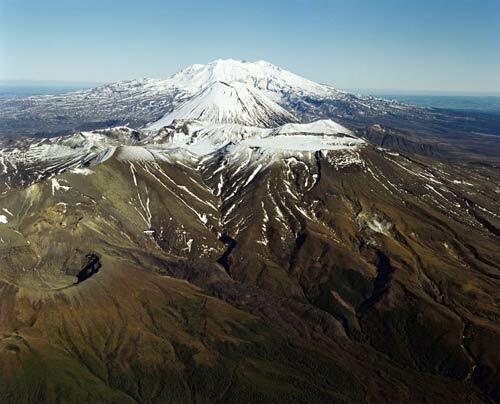 It was from these words that the mountain’s name, Tongariro, was taken. This photo shows Tongariro in the foreground with Ngāuruhoe and Ruapehu behind.